In the last two weeks, in response to the email ask I sent out, almost twenty people have given or pledged to give, which essentially doubled the number of people who are financially supporting me! This last Sunday, the church’s Executive Team met and decided to increase their financial support for me. We’re still working on details, but this is exciting for me and encouraging as it means that our church community continues to grow–not just in size, but in generosity as well. 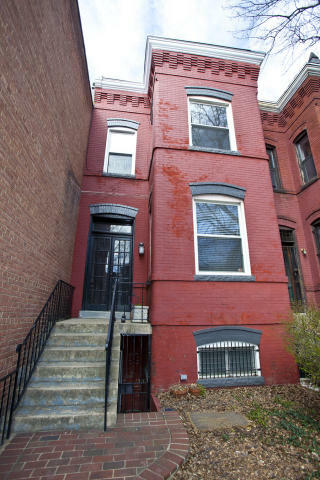 And last, but certainly not least, the church was given a house in the Columbia Heights neighborhood by an anonymous donor! I just posted Aaron’s account, and I’m pretty sure you’ll want to read it–it has more details, for one thing. I don’t think it’s a coincidence that we’ve just started a series at The District Church on prayer–we planned it before I even knew I’d be sending out an ask for support, and definitely before we got the house! But God has been stirring my spirit from the relief and exhaustion that I was feeling in the aftermath of the last few crazy months, to a renewed excitement and anticipation for what he continues to do in, through, and around The District Church.